SAVANNAH, Georgia, July 20, 2018 — Gulfstream Aerospace Corp. today announced the Gulfstream G500 received both its type certification and production certificate from the U.S. Federal Aviation Administration (FAA). These certifications pave the way for the first completed G500 delivery to a customer as planned later this year. The FAA type certification verifies the airworthiness of the aircraft’s design, while the production certificate confirms that the company’s production processes comply with Federal Aviation Regulations. The G500 is the first clean-sheet Gulfstream aircraft to receive its type and production certificates on the same day. During the G500 certification program, Gulfstream demonstrated even better performance for the G500, including a takeoff distance of just 5,200 feet/1,585 meters, 200 ft/61 m less than originally projected. The G500 expands the possibilities for high-speed travel by offering an unprecedented combination of speed, technology, reliability, safety and performance. The aircraft is optimized for comfort and productivity, with low cabin sound levels and cabin altitudes, 100 percent fresh air and 14 panoramic windows that bathe the cabin in natural light. Gulfstream is setting a new safety standard as the first original equipment manufacturer in business aviation to offer active control sidesticks, 10 touchscreens in the flight deck and a third-generation Enhanced Vision System, optimizing pilot awareness in low visibility. The award-winning Symmetry Flight Deck also includes Synthetic Vision-Primary Flight Display and Head-Up Display II. The G500 is the first aircraft certified to use enhanced vision to land and the first business aircraft certified to Stage 5 noise standards. Originally projected to fly 5,000 nautical miles at its long-range cruise speed of Mach 0.85, the certified G500 can actually fly 5,200 nm/9,630 km. At its high-speed cruise of Mach 0.90, the G500 will fly 4,400 nm/8,149 km, which is a 600-nm/1,111-km increase over the original projected range of 3,800 nm/7,038 km. The aircraft has already earned more than 20 city-pair records, most of them at Mach 0.90. 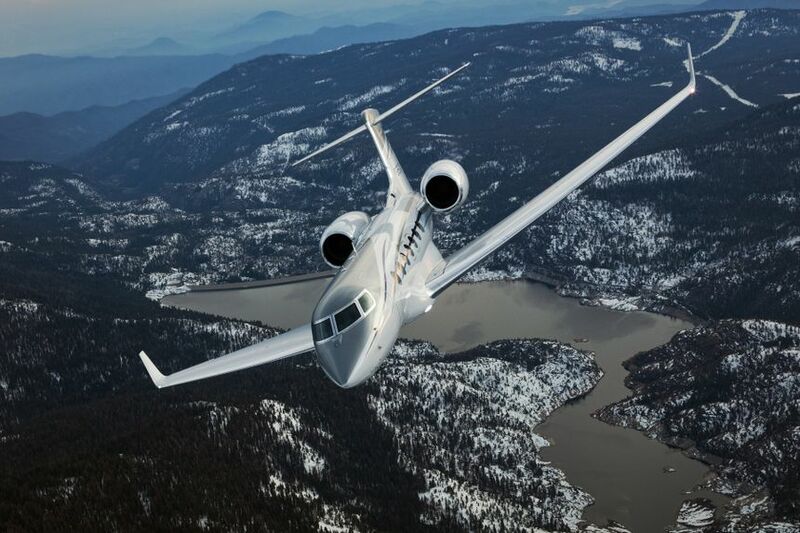 Gulfstream anticipates delivering the first G500 in the fourth quarter.